Enter the new Oscillo Contest, in it, you get the opportunity to Win a $1,000 family outing plus weekly prizes. This contest is open only to legal residents of Canada aged 21 years old or over. 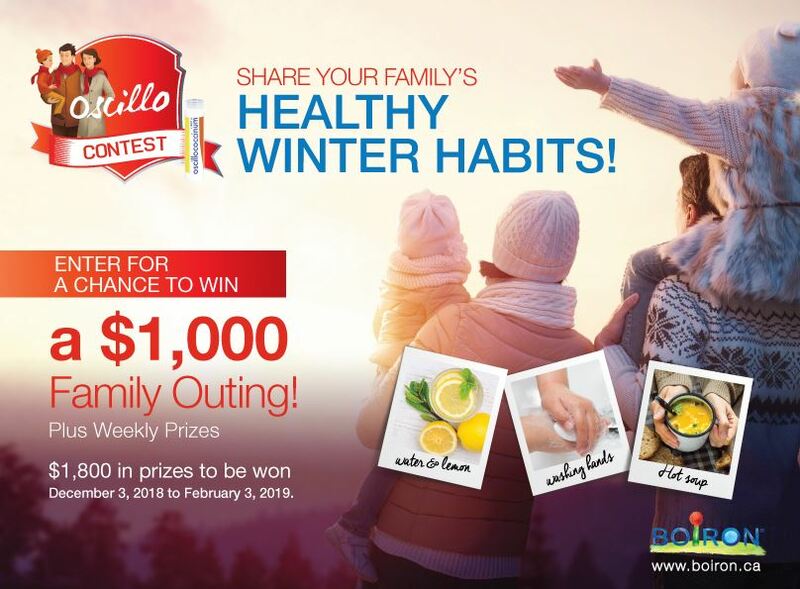 To enter you need to visit the official contest web page and fully complete the entry form with your email address, name and last name, city, province and your answer to the question “What are your family’s healthy habits?”, agree to the official rules and submit it. The contest closes on Sunday, February 3, 2018 at 11:59 pm ET. Winners will be selected randomly from all eligible entries received during the contest period. There is one Grand Prize available to be won, consisting of an outing of the winner's choice for up to $1,000. There are also 8 weekly prizes, each consisting of a winter wellness basket valued at $100. The Oscillo Contest begins on Monday, December 3, 2018, 09:00 am (ET) and ends on Sunday, February 3, 2019, 11:59 pm (ET). There will be weekly draws during the contest period starting on December 10, 2018 and ending on January 28, 2019. The Grand Prize draw will take place within 10 days after entries close.